Haute Stock is the premier styled stock photography membership for women entrepreneurs. The images in the library are for women business owners who are looking to uplevel their branding with images that are modern and stylish. I am personally a member of the Haute Stock library and it has been a game changer for me. 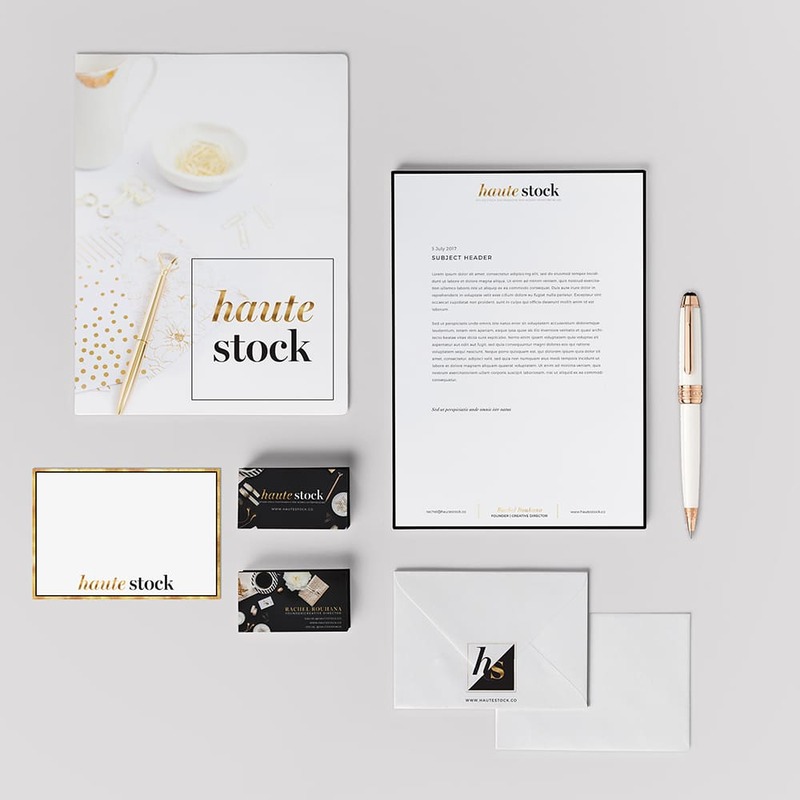 Rachel, the founder of Haute Stock, and I have also worked together on the monthly graphics packs that the library releases together with the styled photography. It was therefore such a huge thrill for me when Rachel approached me to design her new logo when she wanted to rebrand from Haute Chocolate, to Haute Stock. Rachel mentioned that there were a lot of membership sites that cropped up after she launched her business, and she needed a new brand that would be distinct, and help her stand out from the rest. She wanted a logo that was stylish, chic, high-quality, modern, fun. The branding needed to feel high-end, classic, feminine, but with a fun, sassy flair. This is the moodboad and color palette that we came up with. 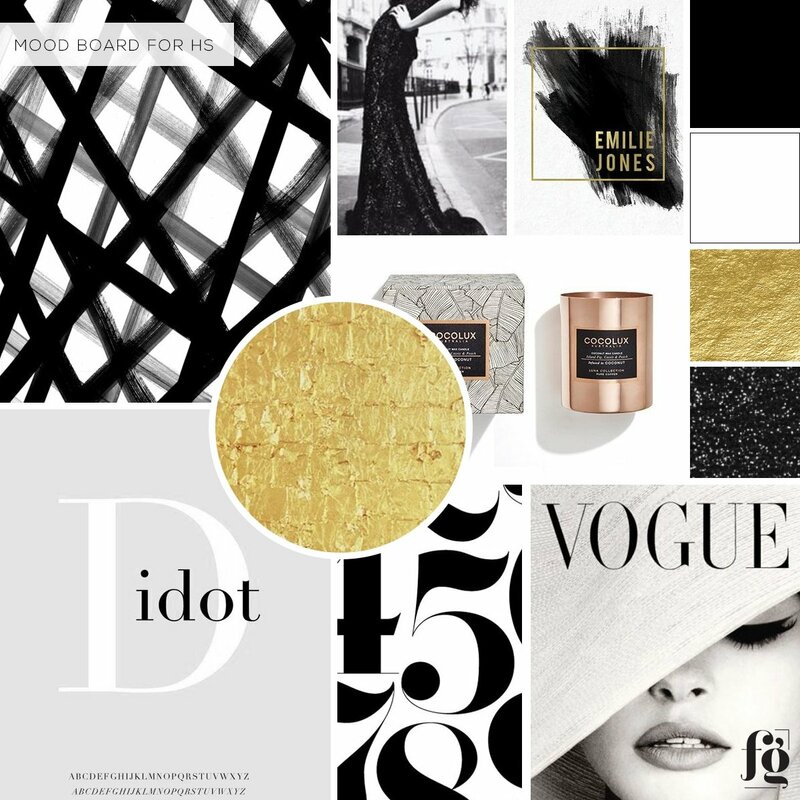 It’s mainly black and white, with an accent of metallic gold. We wanted it to be classic and elegant, so it will be stylish for years. Rachel wanted a typography style wordmark for her logo, with a thick serif and a thin sans-serif to pair with it. But as with the most simple logo designs, it was all about the minute details. We also did single colour versions of her logo for use on her new website. 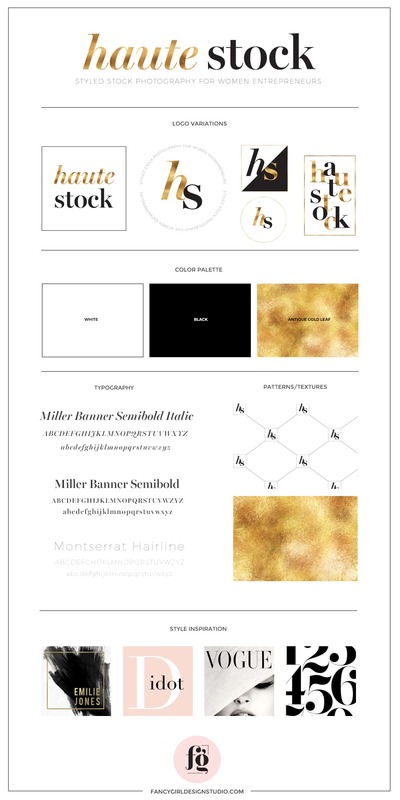 Of course I had to use her fabulous stock photos for her stationery suite. I do love how it all comes together in this set!